Changes for 2007; Atomic Orange replaced Daytona Sunset Orange Metallic on the color selection chart. Other changes included steering wheel mounted audio controls included with Bose premium audio systems. Below: Also new for '07 - two tone perforated leather seating surfaces with crossed flag embroidery and contrasting stitching interiors. 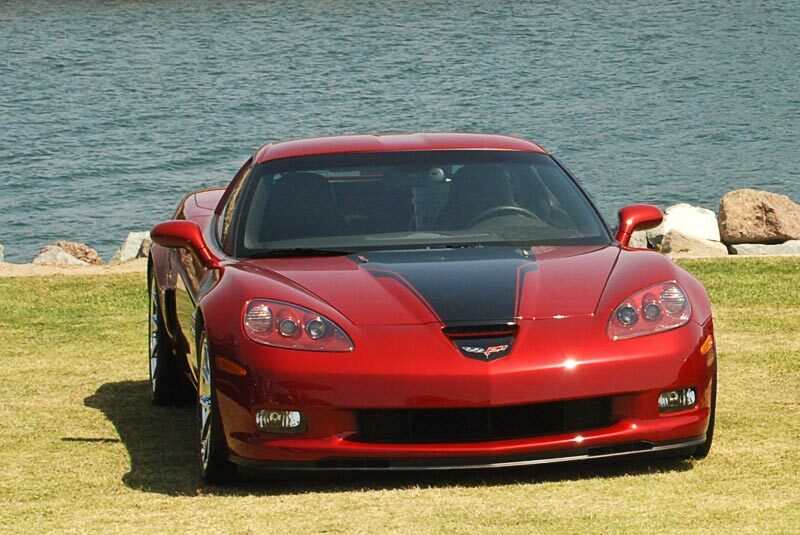 Below Left: Exterior changes were minimal for the 2008 Corvette. 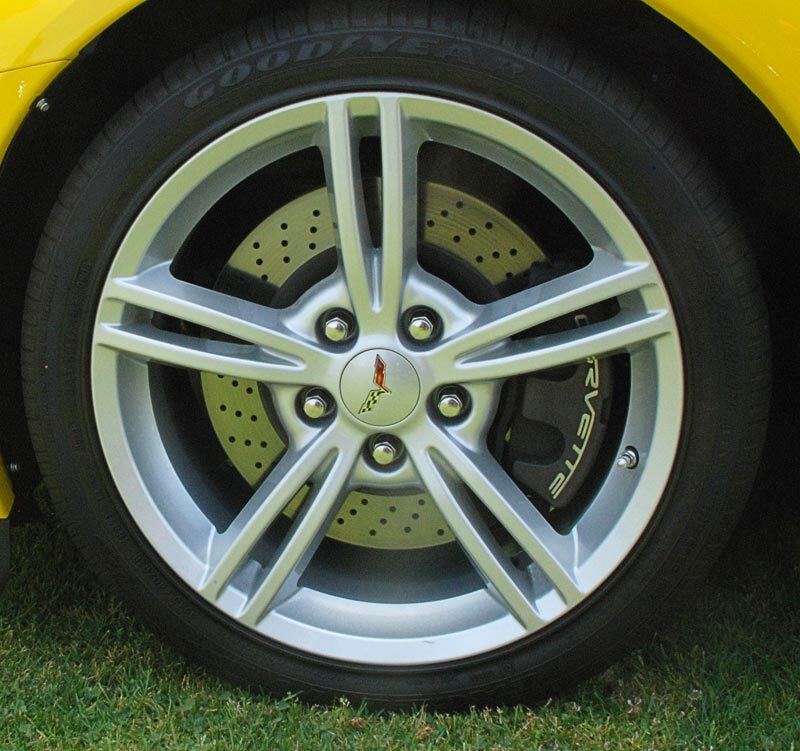 A new split spoke wheel was an option. 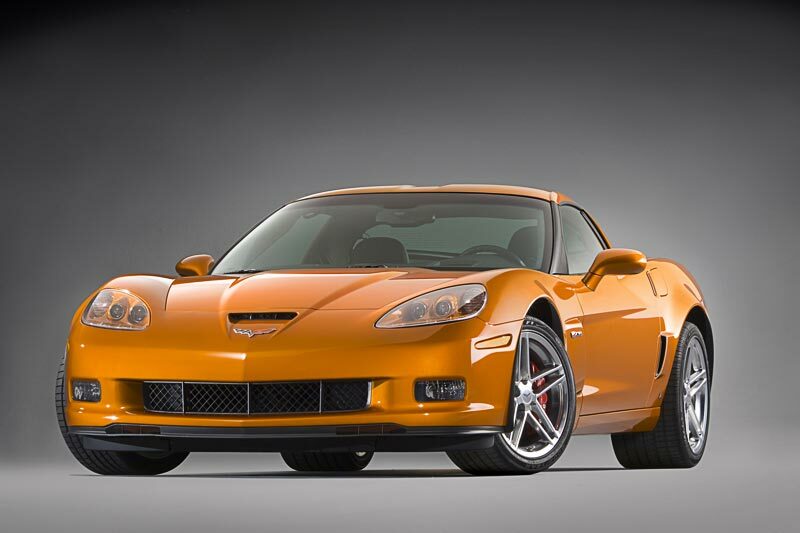 Right: The Z06 was unchanged for 2008 except for a special "427 Limited Edition Z06". 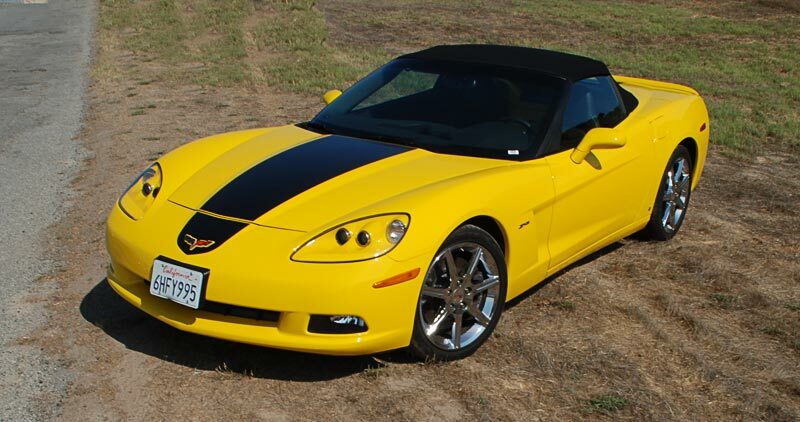 The option included a special paint scheme that recalled the "Stinger" hoods on the 1967 Corvette 427 cubic inch motors, the same displacement as the Z06. 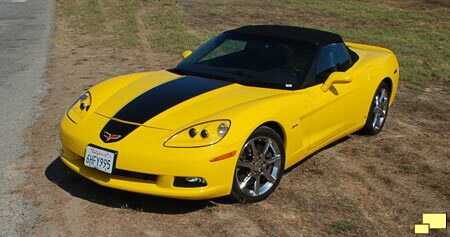 A special Chevy / Hertz agreement resulted in the Corvette ZHZ, a Corvette anyone can rent. All were equipped with a distinctive black hood stripe and automatic transmission. 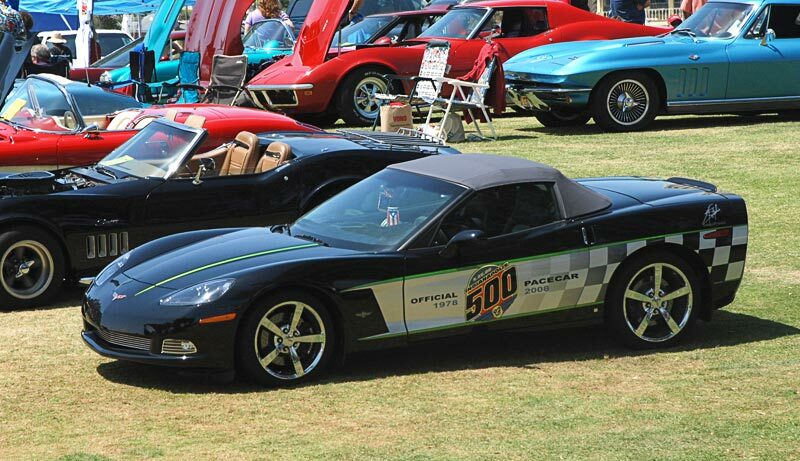 500 examples of both coupes and convertibles Indy 500 pace cars were available for 2008. Titanium leather seats were part of the package.